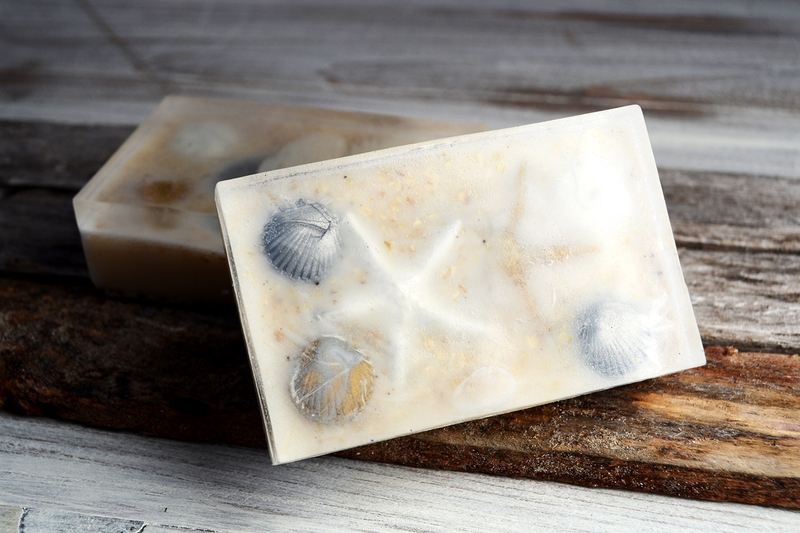 Make this pretty beach themed oatmeal soap with a surprise inside! 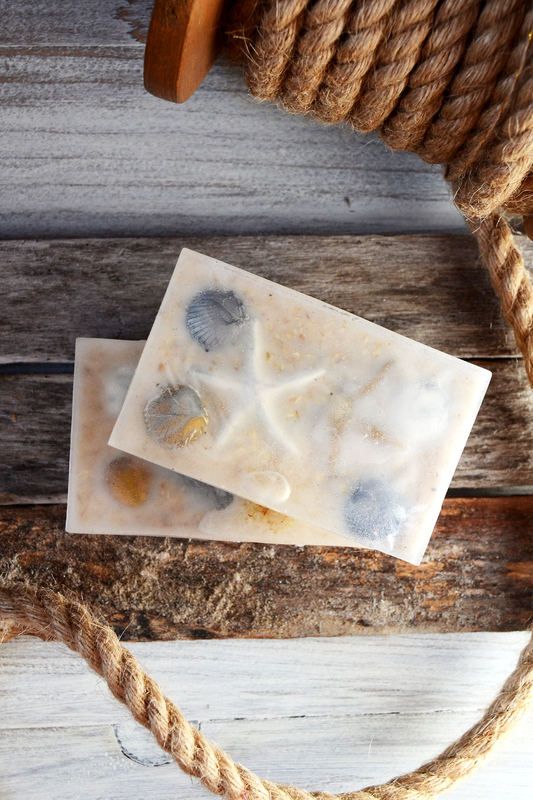 It's the perfect decor for a beachy bathroom or a coastal inspired escape. I was at the beach a few weeks ago – I finally made a few days ago and couldn't be happier with how it turned out. It's the perfect decor for a beach-themed bathroom or powder room, or a coastal inspired escape. Check out how it was made! Step 1. 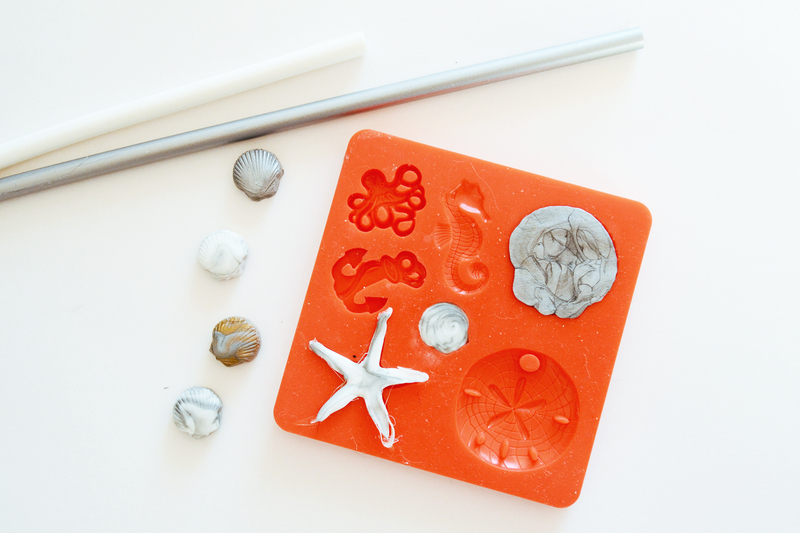 Create molded starfish and shells using your mod melts mold. To achieve a swirly two-tone effect: let the first mod melt stick melt in your glue gun, pull it out and jam in a second color. The first few squeezes will have the first color, but the next ones will have a two-toned effect. I specially love the silver and white combo! Step 2. 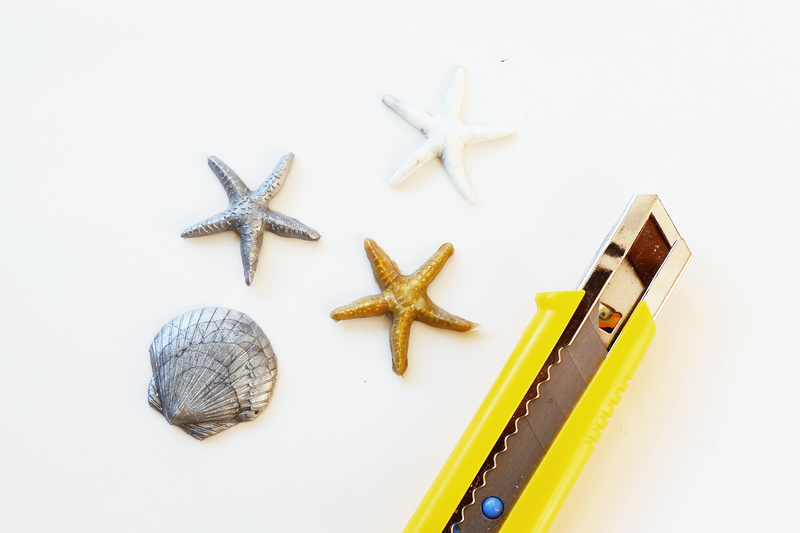 Clean up your molded starfish and shells using a craft knife or a box cutter. Step 3. 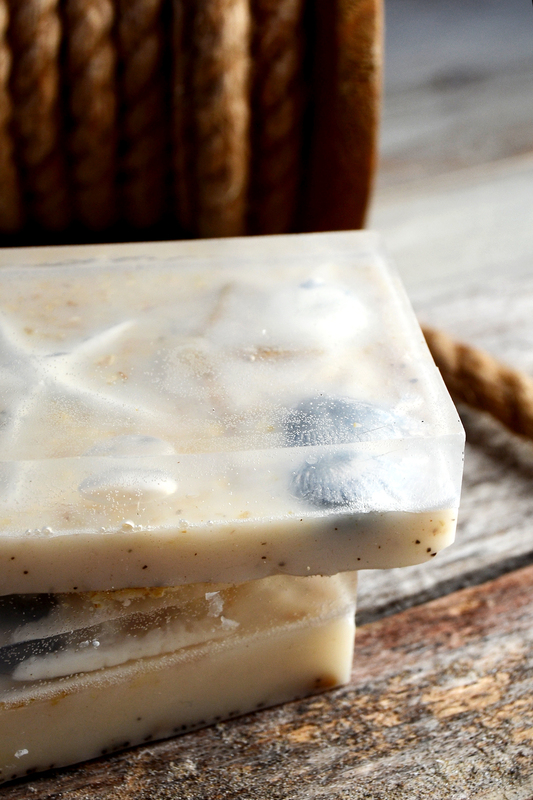 Melt your first soap layer – the glycerin. I used 1 1/2 cubes for my first layer per soap bar – heated for about 20 seconds to melt, and then poured in the soap mold. Allow the first layer to form a thin skin before proceeding to the next step. Step 4. Add your mod melted starfish and shells! This is the fun part. You may want to do an arrangement first to see how you would want it to look like before putting them in the mold. Step 5. 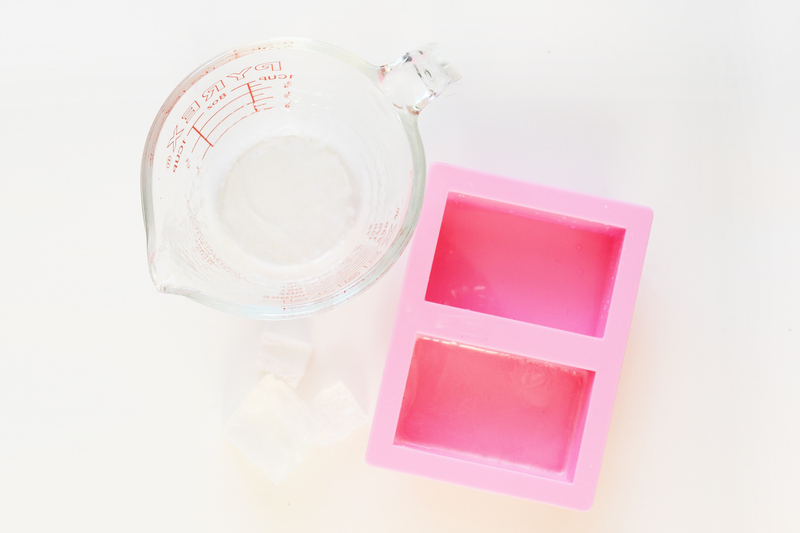 Melt your second layer – the goat milk soap base (I used 2 1/2 cubes per soap bar). Mix in ground oatmeal and ground coffee beans to create a ‘sand' effect. 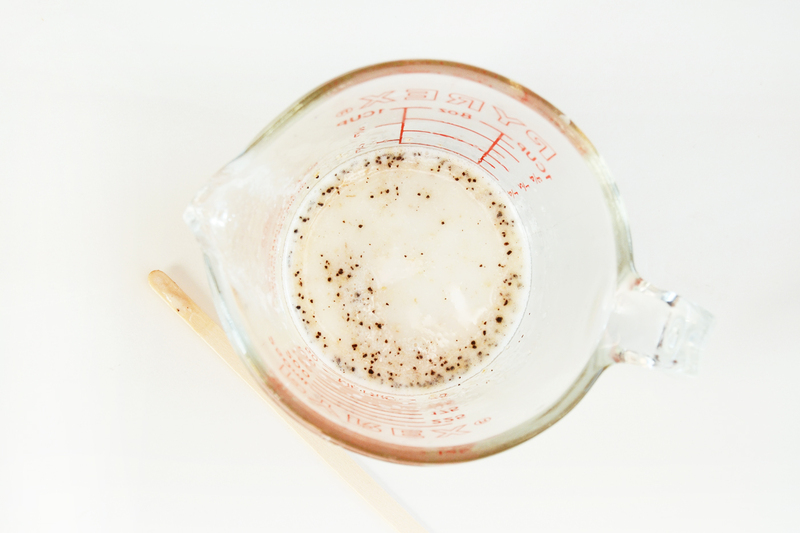 You may mix in your fragrances on this base as well. Let cool slightly (until it's not super runny) before pouring in the mold to reduce the chance of the mod melts melting or floating on top. Let the oatmeal soap bar cool and harden before popping it out of the mold. And voila! 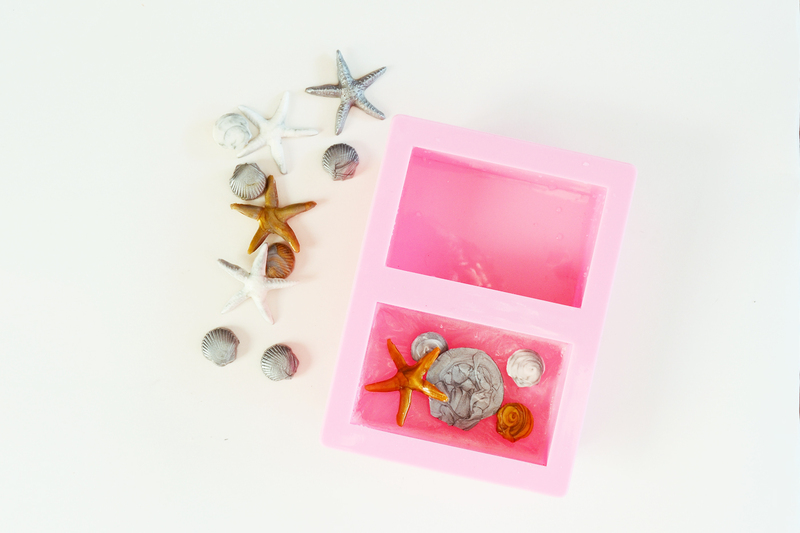 Beach-themed soaps for this summer. I specially love how the Mod Melts show up like they're underwater – and I promise you, they look way better in person. 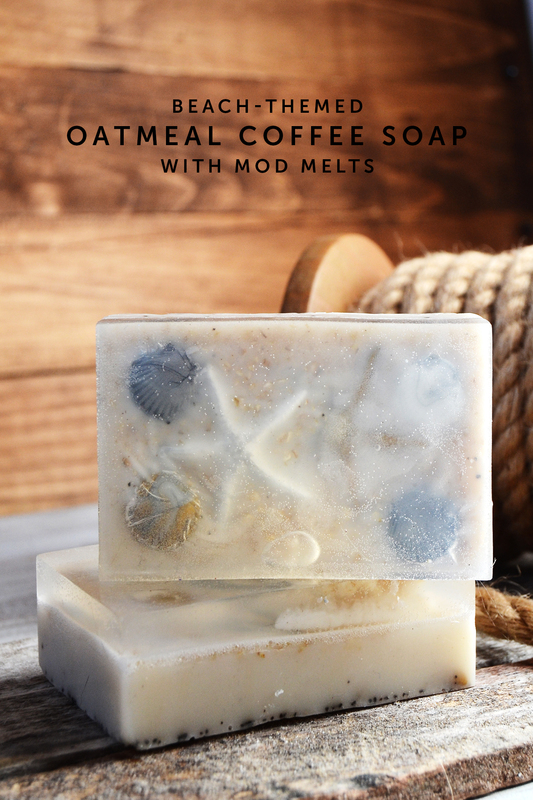 Create your own beach-themed coffee oatmeal soap today to give away or to use! They're fun and simple to make, and they're sure to make a statement. Don't forget to check out my blog for more DIY ideas and free printables! So cool! 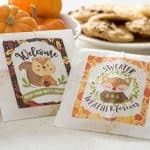 Very pretty and great for gifts!